When people think of family law attorneys or divorce lawyers, they usually think of trials and courtrooms. Sometimes, involving the court is necessary, but the fact is that 90% plus of all custody disputes settle without a trial. The reasons are simple and the benefits of settlement are compelling. Settling your custody issues by a fair agreement between two caring parents is always better for the parties and your children than having a Judge decide. This, of course, assumes two good parents working together with the best interest of the child in mind. A judge, no matter how well intentioned, will never know the child or the parents the way the parties do, and an agreed upon custody schedule generally works better than one dictated by a stranger after a trial. Going to court over custody also adds stress to the familial relationships that can be very difficult to heal. Custody trials are expensive, while settlements are generally much more affordable. When you meet with an attorney about custody, BEWARE of any lawyer that encourages ferocious litigation in court over custody before they know the whole story. 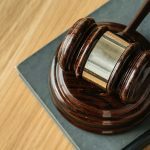 Some family law attorneys will brag about having a reputation of unreasonableness and will make promises about custody results without exploring your options and pointing out the positive and negatives of litigation. This can be a sign of an attorney either trying to prove something about themselves instead of serving their client, or simply an attorney that wants a litigation retainer. That being said, in some cases, litigation is the answer. When is Litigation the Answer to a Custody Dispute? An unreasonable parent may force you to file suit, or go to trial. Some parents alienate children against the other parent. Some parents have drug or alcohol problems, or are in bad relationships. In situations such as this, it is our responsibility to advise our Clients to go to trial and avoid entering an agreement that could jeopardize a child’s well being. At The Doyle Law Group, P.A., we excel in the court room through hard work, preparation, experience and dedication to our clients. Direct negotiations with the opposing party or their attorney.This is the best choice for parents that get along well and have a history of working together for their children. If either party is particularly stubborn, or they hire the wrong attorney, this method can prove to be ineffective, however it is usually worth the effort.Generally, we recommend preparing a formal agreement that is ready to be signed as a starting point rather than having our Client try to negotiate directly with the other party. This avoids the parties being directly involved in disputes or leaving out details that need to be addressed that one party may object to after an agreement in principal is reached. Settlement Conference or Mediation.In many cases, we recommend settlement conferences or mediation as the most effective way to resolve custody disputes.A settlement conference simply means the parties and their attorneys meet at an office and try to resolve the custody agreement on the spot and finalize it right there if an agreement is reached.A mediated settlement conference operates the same way only there is a professional mediator trained in resolving custody disputes there to assist the parties and attorneys in facilitating a settlement.Both of these methods have the benefit of resolving the matter entirely if successful in one day. Traditional back and forth negotiations between attorneys can work, but it can take weeks. This can be very frustrating for all involved as the pace is dependent upon attorney and client schedules. Having a lawsuit in place with court dates set tends to force a reluctant or unreasonable parent to deal with custody more seriously and avoids game playing. Once the litigation is filed, we can still negotiate a settlement as set forth above, or we can wait until the other party is ready to settle. Naturally, when we file a lawsuit, we prepare to go to court, and we focus relentlessly on guiding our client through this process and presenting the strongest case possible showing the judge why our client should have the custody arrangement we are asking for. If we go to trial, we will be ready. When and agreement for custody is reached between parents, there are generally two ways we formalize that agreement legally. Custody Agreement / Separation Agreement.This is, in essence, a contract between the parties containing a custodial agreement with all appropriate details.If the parents are married and separating, then the custody provisions are typically contained within the larger context of a Separation Agreement and Property Settlement. This method can be effective for most people, but it has its limitations as set forth below. Consent Order For Custody.A consent order is an order of the court, signed by a judge based on the written consent of the parties(without a trial). 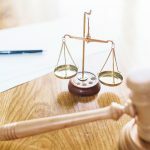 This order is just as enforceable as a ruling made a judge after a trial, and is a very effective way to ensure that each party complies with the terms of the agreement. Furthermore, it is difficult to change as discussed below. We discuss in detail the benefits and drawbacks of each method of settlement with each client and guide them in selecting the method that is best for them and their children. What Does the Doyle Law Group Advise? Typically, if the other parent is unreliable or untrustworthy, then we would generally recommend a consent order. What is the Benefit of a Consent Order? Factually, only consent orders are strictly enforceable by a court in relation to child custody. While the courts will often attempt to honor agreements between the parties, contracts relating to the custody of children are not binding on the courts, and they can overrule them if doing so would be in the best interest of the children. A court may not simply overrule a consent order, and can only change the terms of that order upon a properly filed motion to modify from a party and a finding of a substantial change of circumstances since the entry of the court order. In either case, GREAT CARE must be taken in drafting any type of custody document as they will likely have long-lasting and possibly unintended consequences. With over two decades of combined family law experience, we know what issues need to be covered in an agreement and our agreements serve not only to record the custodial schedule, but to also deal with and avoid countless other problems. This saves our clients thousands of dollars as well as future pain and anguish in the process. According to our clients specifications, certain issues will be addressed during the process. We assist you by advising you on the issues and offering suggestions and possibilities. Do You Need Guidance Regarding Custody Agreement? We realize that some people need more guidance about custody and agreements, while others know what they want right away. Our job is to help where needed and we make sure your legal bases are covered. Fill out the form below to discuss how we can help you settle your case or call us toll-free at (919) 301-8843.